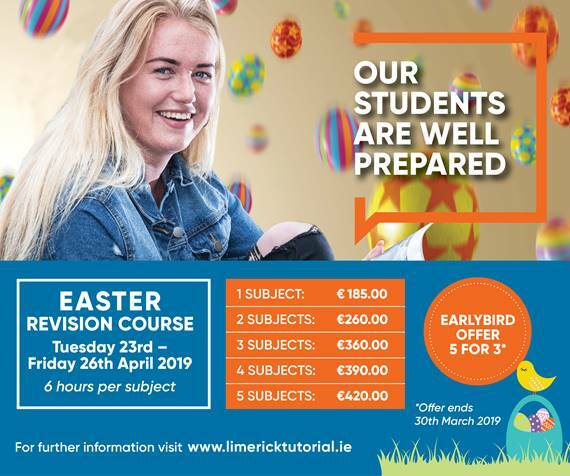 WITH 30 Leaving Certificates under its belt, Limerick Tutorial College has finely tuned how each student should approach their exams, offering experience and expertise along with the very best teaching staff. It caters for for fifth and sixth year and repeat leaving cert, with repeat students gaining on average a minimum of 100 points on the previous year. Limerick Tutorial College is very much a family run school that understands the guidance and support that is needed by each individual student and their families. “We look on each student as if they are a member of our own family and advise and guide them accordingly,” said John O’Halloran, principal. “All we want is that each student will fulfil their own potential,” he said. The choice of subjects also plays a huge factor in its success, offering each student time tables that allow them to choose subjects that they personally will excel in, with students travelling from throughout Ireland to avail of its success. Now enrolling for 5th year, 6th Year and Repeat Leaving Cert 2020 courses. For interview, please call 061-315522. 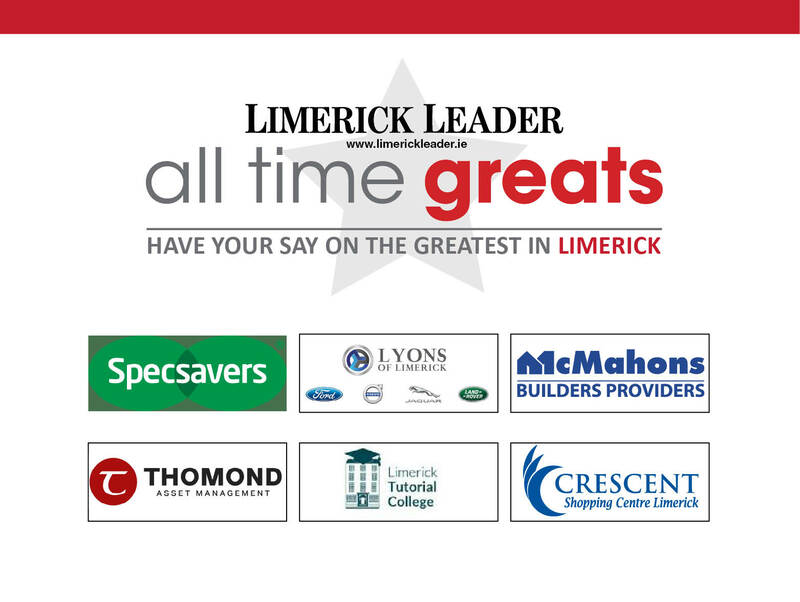 Limerick Tutorial College is backing the Limerick Leader’s search to find Limerick’s All Time Great.